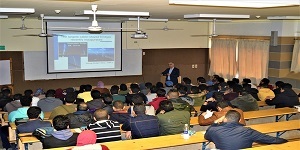 In the light of the visit of the KTH Royal Institute of Technology to the faculty of Engineering, Prof. Raed Kromy, a KTH delegate specialized in bridges structures, paid a two–day visit to the Construction Engineering and Management Department on 4-5 March 2019 where he gave two lectures for both the department students and staff. 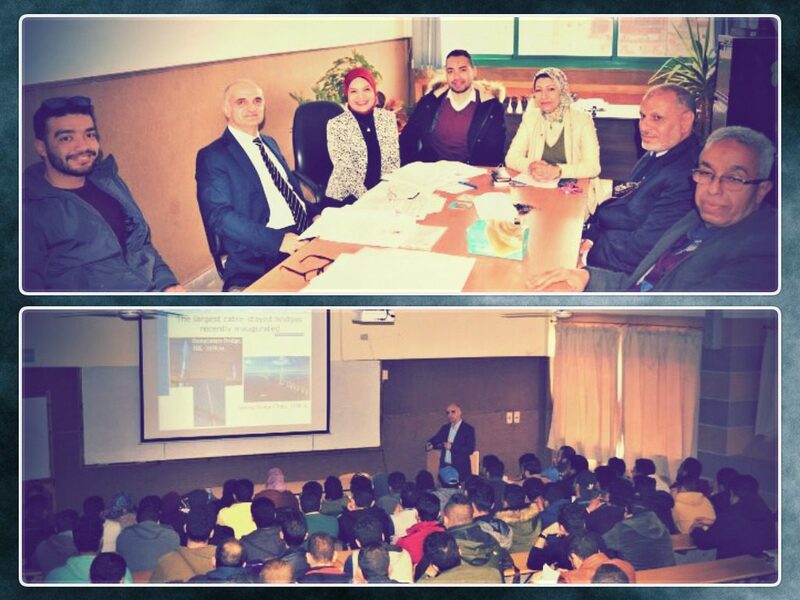 The first lecture, entitled as “Bridges Types, Classifications and Loading”, was given to the department students on Monday, 4 March, 2019. Meanwhile, Prof. Raed Kromy delivered a lecture for the department staff on Tuesday, 5 March, 2019 about how to choose the appropriate structure types for bridges.